CB750, Harmon Spurder front end. That is so so cool, would absolutely love to have a chopper like that. Would have no hope of getting it registered in WA though unfortunately with the 550mm rule. Do you know if this bike was ever sold? Harmon has been sold. 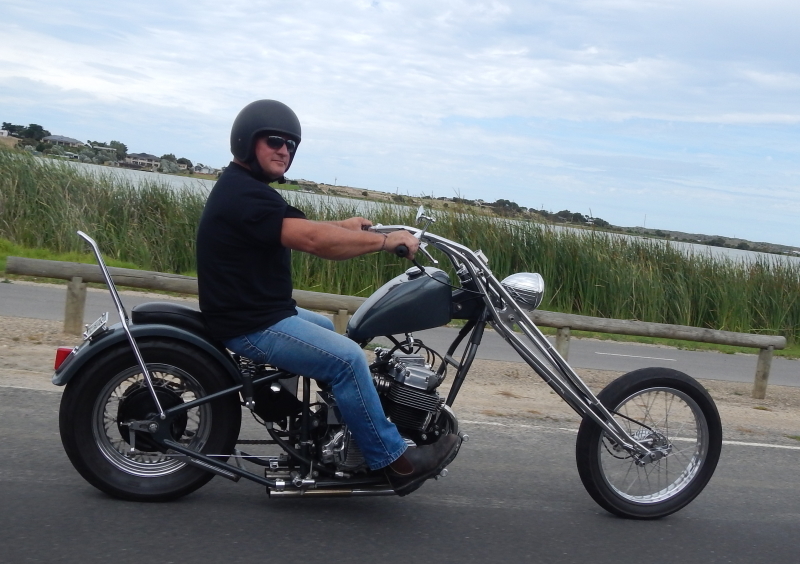 The other Honda is a nice looking classic chopper if ever there was one!